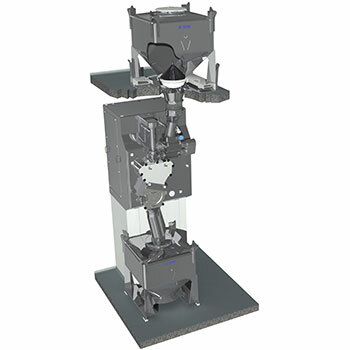 The quality of the granules produced by roll compaction is directly linked to the quality of the in-feed, so a key requirement is to deliver material without blend segregation. Our IBCs are especially well suited to this application thanks to the superior Cone Valve technology within each one, which creates mass-flow discharge, delivering an automatic feed of blended product without de-mixing. The reassurance that product will be reliably discharged enables QbD (Quality by Design) to be achieved, even with the more sticky materials such as metformin. Mass-flow discharge means no segregation. Overcomes bridging of sticky materials. 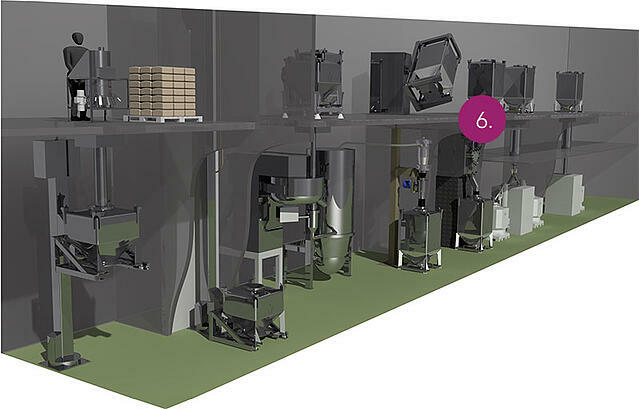 Controlled and reliable feed of powders.